With its long history and elegant technique, the Chinese papercut is treasured for its highly artistic, practical and ornamental appeal. 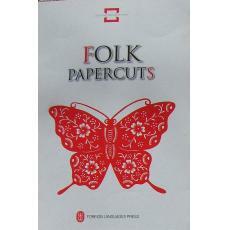 Demanding superb skill, with a feel for paper and shape that centers on shadow and contour, the papercut has formed a unique artistic style and is popularly used in folk activity and the daily life of Chinese people. Displaying over 300 papercuts by diverse folk papercut craftspeople from 21 areas, with a detailed introduction, the book helps readers gain a more profound understanding of the art of the Chinese papercut.